Do you have to be able to precisely measure your employees' knowledge of languages and capability of expression on an individual basis? Then the Test of Speaking Skills is the solution. 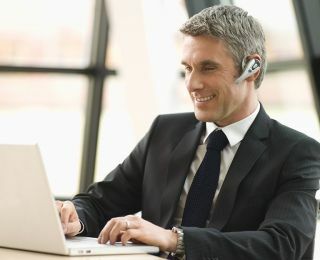 In no time at all, you receive a detailed and precise evaluation of your employees' ability to communicate in almost any language by means of a live dialog over the telephone. The Berlitz language instructor who conducts the interview is a specially trained native speaker, who will adjust the topics of the discussion according to the particular employee's professional field. The results are based on the European Reference Framework for languages, which makes them easy to interpret. We offer Test of Speaking Skills Monday to Friday between 2 p.m. and 10 p.m. In order to guarantee that it is conducted professionally, the test must be booked at least 48 hours in advance. The interview lasts approximately 20 to 30 minutes. We will also be pleased to visit your company to advise you directly. Contact your local Berlitz center to get more information and book a Speaking Skills Test today!